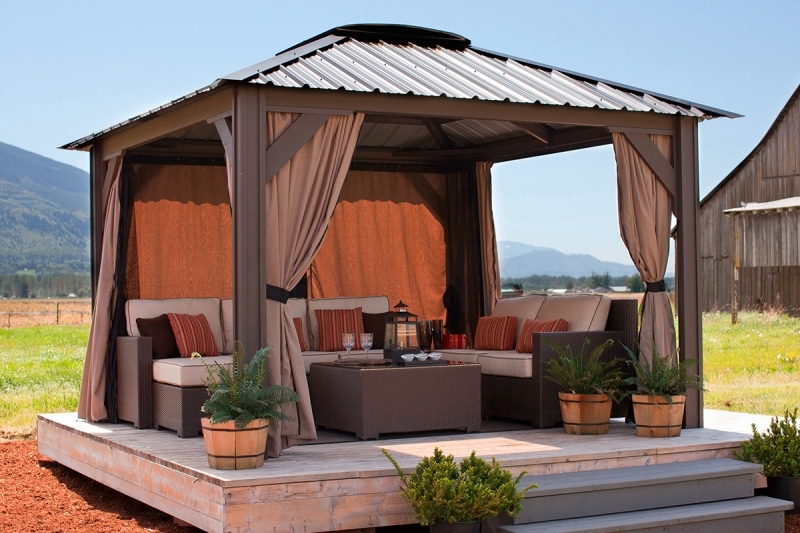 Love your backyard under the shade of Milano by Visscher. 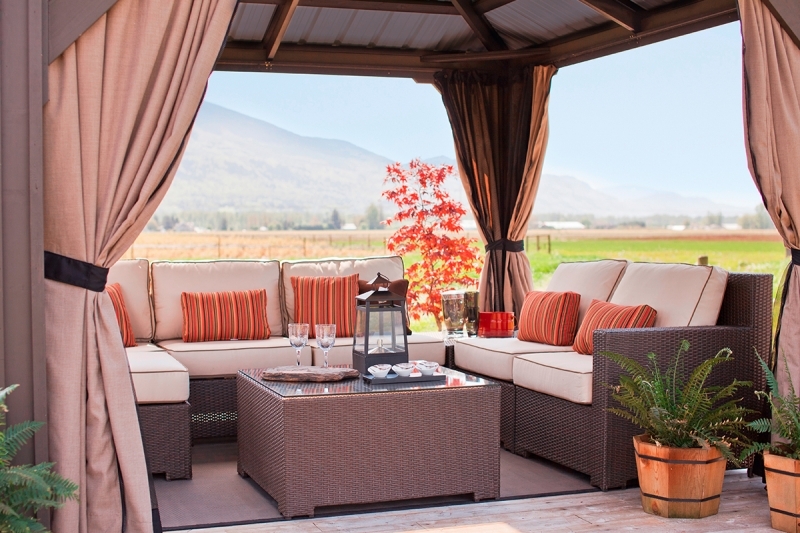 Full-length insect screens provide protection from bugs, and drapes allow you to vary your level of privacy. Solid SPF wood construction is a rich addition to your property. Go ahead and give the post a shake – this is a sturdy structure.